the obsessive imagist | art, design, life: HOORAY FOR A 20x200 GIVEAWAY! HOORAY FOR A 20x200 GIVEAWAY! If you are even an occasional reader of the obsessive imagist you know that I love 20x200. I mean love. I have bought a ton of their prints—for myself, for my family, for my friends. Not only are their prices amazing (depending on the size of the print prices range from $20-$2000), but the artists they feature are awesome A-listers. Check out my (numerous!) posts about 20x200 here. So imagine my super giddy nerdy excitement when the lovely Danielle at 20x200 offered to do a giveaway with the o.i. to celebrate the start of Armory Week! * Sweet! + Altoids: Freshen up before saying 'hi' to your favorite artist or chatting up that cute gallery guy/girl. + Orabrush: Ditto—you can't make a first impression a second time. + illy issimo: Drink up and re-caffeinate on the fly. + Popchips: Eat up and refuel whilst gallery hopping. + West Elm tape measure & level: Measure up with pocket-size art hanging essentials. + West Elm discount card: Stock up from one of our fave frame sources. 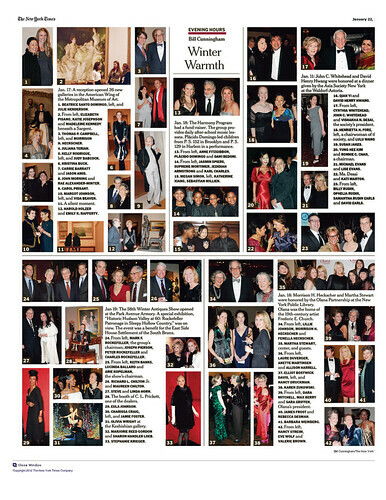 + BAMart Auction Invite: Culture up at one of our fave institutions. + Art Fag City + Hyperallergic Event Guides: Read up and be in the know on what's happening. + 20x200's Map of the 2011 New York Art Fairs (above): A work of art right in your bag! 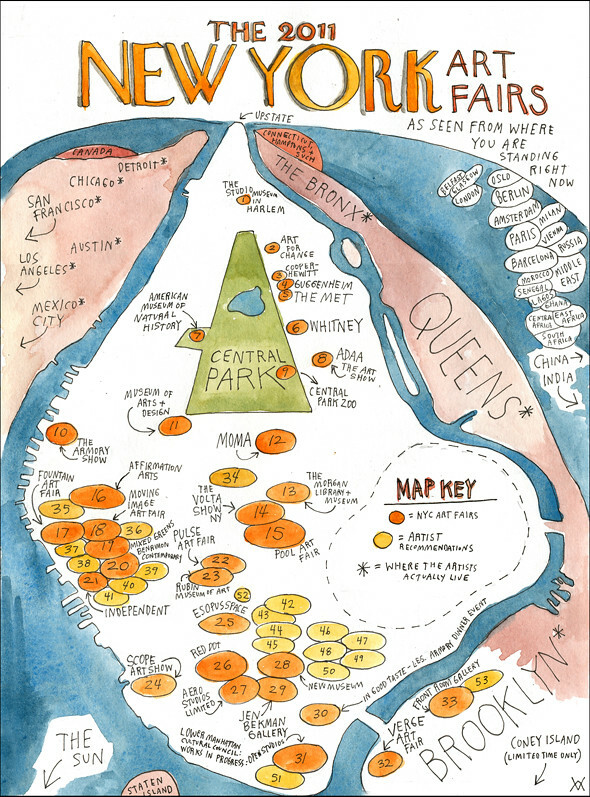 This year's map is drawn by the inimitable Wendy MacNaughton. + 20x200 Magic Fortune Teller: Thrill your friends with amazing feats of art market prognostication! + A ticket to the Pulse Art Fair, where 20x200 is exhibiting this week! 1. Go to the 20x200 website and pick our your favorite piece or artist. 2. Come back here and leave a comment with your choice (please include your email so I can contact you if you win!). That's it! Want to increase your chances? Become a follower of the o.i. on twitter (@katiejosephson) and you will be entered twice! Already a follower? Tweet (or retweet) about the giveaway and I will enter you twice too. Two winners will be picked tomorrow (Friday, March 4) at 2pm here on the blog. Good luck! In the meantime, go check out the 20x200 booth at the PULSE art fair! *Unfamiliar with Armory Week? It's an annual art world extravaganza where gallerists come from all over to show the latest and greatest from their favorite artists. The Armory Show—and many other wonderful shows that happen at the same time—pretty much takes over New York City during the first week of March. This year it runs from March 3-6. Please note: winners in the NYC area will receive the full kit. 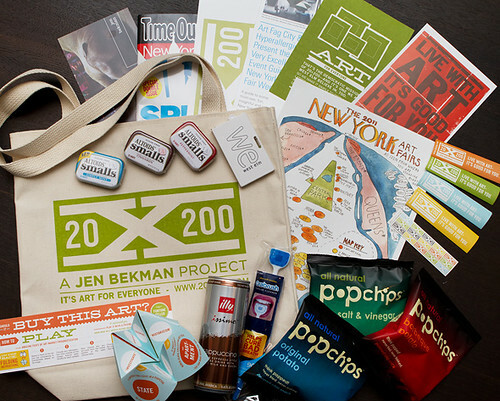 Winners outside the metro area (or not visiting during Armory Week) will simply receive a 20x200 tote bag.